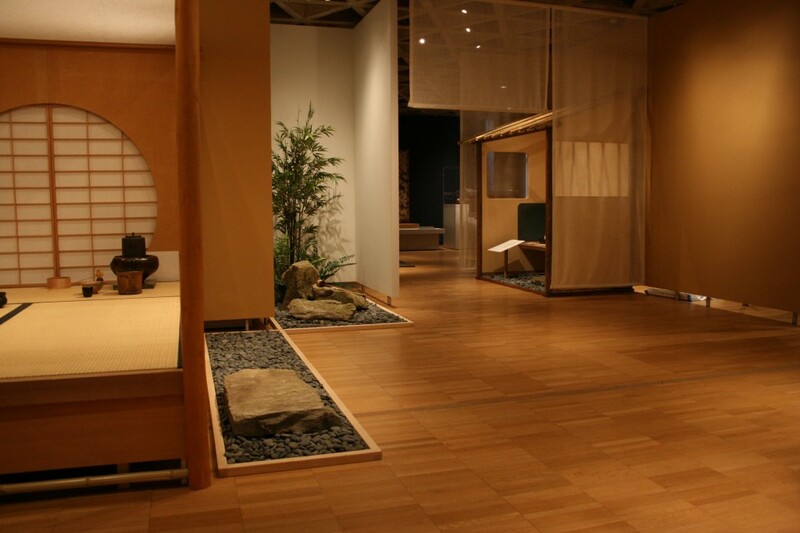 Interior garden for the special exhibition “Tea Culture of Japan: Chanoyu past and present” at the Yale University Art Gallery. 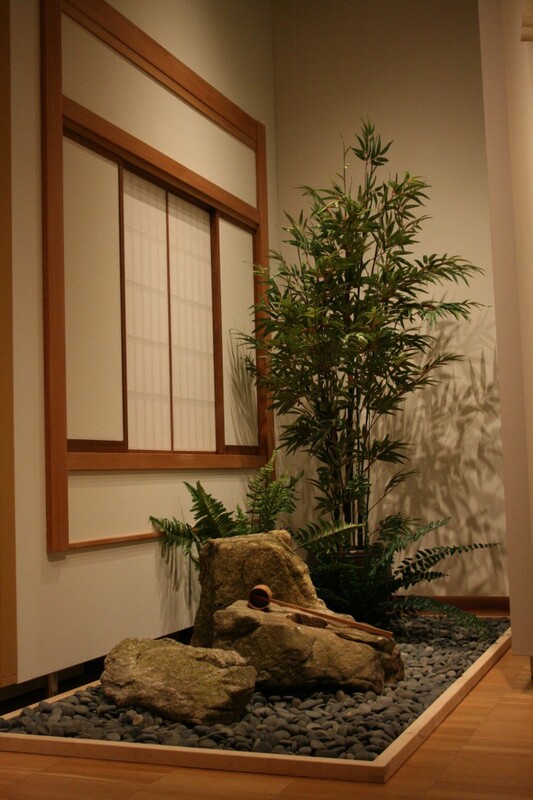 This garden was created to visualize Roji, the passage from an entrance to a tea house. Kinin seki (VIP stone) was settled at Machiai, a waiting platform. At the end of Roji, in front of the entrance of a tea house, Tsukubai, a stone water basin, was settled for rinsing ones’ hands in an act of purification. 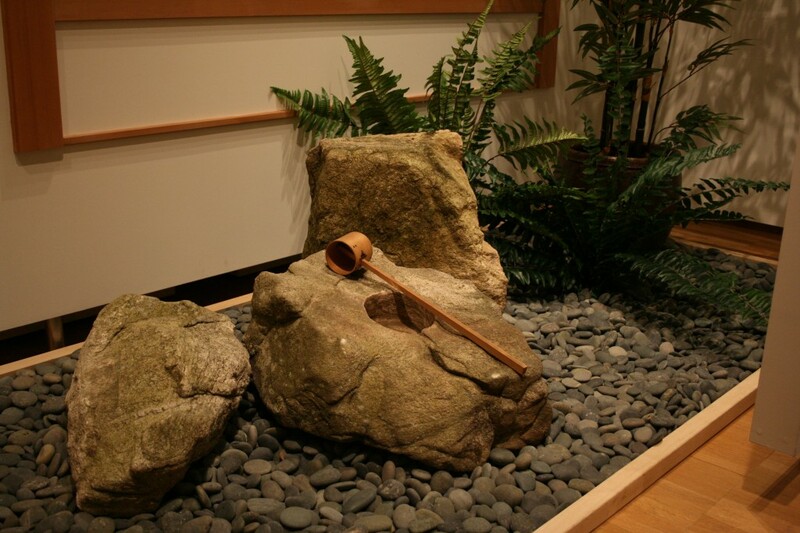 Kutsunugi ishi, a large stepping stone for taking shoes off, indicated the entrance of a tea house.